We could not be more excited to announce the addition of Josh Kasinger as the new PV Worship and Executive Minister! Josh is a Dallas native with a degree in youth and family ministry from Harding University and a masters degree in conflict resolution from David Lipscomb University. He has led both staff and worship at the Bammel Church of Christ in Houston, Texas, for the last seven years. Josh and his wife, Whitney, have four children, Jordan, Ella, Braeden, and Emmy. Whitney grew up in west Texas and is a graduate of Abilene Christian University. Josh is also the founder of United Voice Worship (UVW), a worship team dedicated to honoring Jesus Christ by promoting intentional dialogue between people of different backgrounds created in the image of God. UVW desires to worship God as one voice and celebrate the beauty of diversity through a cappella worship experiences and resources. Josh is a creative person whose excitement for life and ministry is infectious. His unique skill set and passion for leading worship and bringing people together make him the perfect fit for these two roles. He’s also a lot of fun! People are drawn to Josh because he’s authentic and full of joy. Two of the primary discussion points during the search for a worship minister were this eldership’s commitment to a capella worship and making that worship experience exceptional. Josh was at the top of the candidate list because of his deep love for a capella worship and the way worship at Bammel has thrived and grown under his leadership. He also has a great understanding of Arkansas churches from his time at Harding, with the Highway Church of Christ in Judsonia, and with the Chenal Valley Church of Christ in Little Rock. As the committee spent time with Josh, the energy and passion he has for worship filled the room. They felt almost as if one of the authors of the Psalms was present. 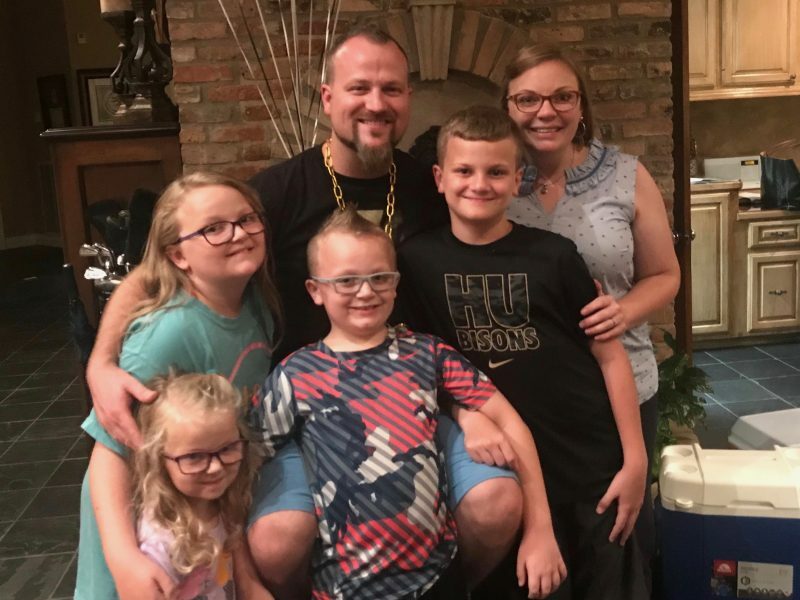 Josh has a huge heart for worship and when he finds himself growing weary, it is the act of worshiping with his church family that refreshes and renews him. When Josh visited PV in August to lead worship, many of our members expressed the hope that we would bring him back full time. We are confident that God has gifted him in a way that will bless this church body and help our worship offering be the very best it can be. As an executive minister, Josh sees the many gifts our current church staff has and longs to see those gifts multiplied so that Jesus will be seen by our community. Like the fertile soil in the parable of the sower, his expectation is witnessing the fruitfulness of God. This attitude makes him a natural advocate for those wanting to put their talents to work. One of the things we love most about Josh is his deep love of his church family and commitment to them. The PV elders admire this and want the best for the Bammel church and their work in the Kingdom. To this end, Josh will not be starting on Sunday mornings until April 1, although his family will move here in January to start the kids in school. We hope you will join us in welcoming the Kasingers and in working together to become the best local church for Little Rock that we can be. We desire to be deeply evangelistic, to strive for true racial reconciliation, and to create a community so rooted in love that all generations learn together, serve together, and join together to reach this city in the name of Christ. We believe that the church was created to serve her community and we can’t wait to get to know you and work with you in that mission. Join us any Sunday morning at 8:15, or sleep in and we’ll see you at 10:45! Find out more about our service times and our church here.